Mandolin Brassaw, owner of Grapheme, with Pantone tea and her letterpress. She makes a soft impression, the sort that is subtle yet embedded richly with possibility and curiosity. Handing me orange mint tea in a Pantone mug, she asks where I grew up. We're seated on the sofa in the big front window of Grapheme, a letterpress and creative shop in Seattle, and I am about to realize that Mandolin Brassaw and I played soccer on rivaling teams twenty years ago. It's funny the way people make impressions. Now that I know she grew up in Silverton, Oregon, less than fifteen miles from my family's farm north of Salem, she does look familiar. I can recall a ghost of her in a jersey on a playing field in my memory. 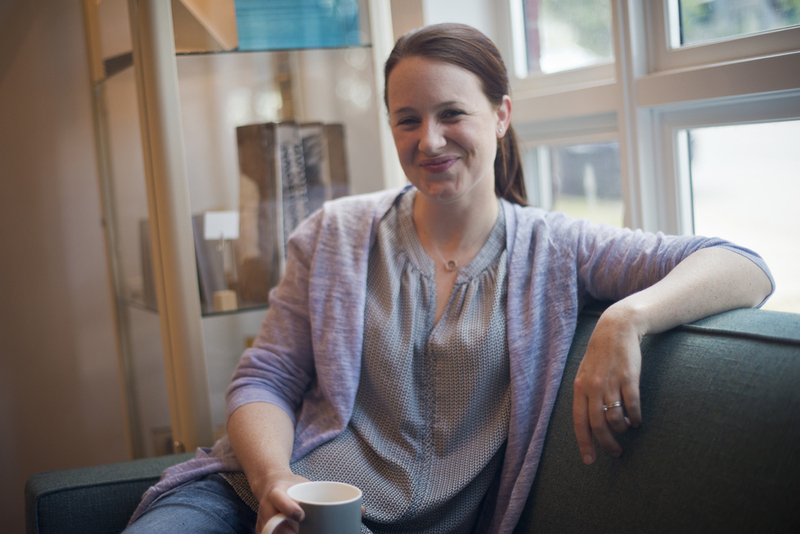 We reminisce about growing up rural in the Willamette Valley, and I ask about the path that brought her here, to own her own shop in the heart of Seattle's rapidly changing Central District. "I was an English major at Willamette," she said. "I thought I'd become a professor. Later, I discovered I don't really love teaching prescribed things." She was in graduate school at the University of Oregon when she bought the press from Stu Rasmussen, the mayor of Silverton and, incidentally, the first openly transgender mayor in the United States. "Stu and his partner were looking to get rid of it and said 'Make us an offer.'" Mandolin was a broke college student and the press was probably worth in the neighborhood of a few thousand dollars, she tells me. But she wanted it. She mustered all her reserves and courage and humbly offered them the $300 she could scrounge up, expecting to hear thank-you-but-that-will-not-do. "Stu said, 'I appreciate the offer, but I think it's too much. How about $200?,'" she recalls with a little smile that holds a fond memory and still beams from the inside with gratitude. I admit to Mandolin I did not know what a letterpress looked like until today, and ask if she'll show me how it works. The pressure from a large, heavy, smooth metal cylinder makes a permanent imprint on thick paper as it rolls over it. I think quietly to myself that certain people become impressed upon our hearts this way, too. Whatever lies beneath is what winds up making the mark. Mandolin's father built the shelves for Grapheme's walls to complement the hanging divider she created out of old wooden printer letter boxes she purchased from a rummage sale at Seattle's School of Visual Concepts. 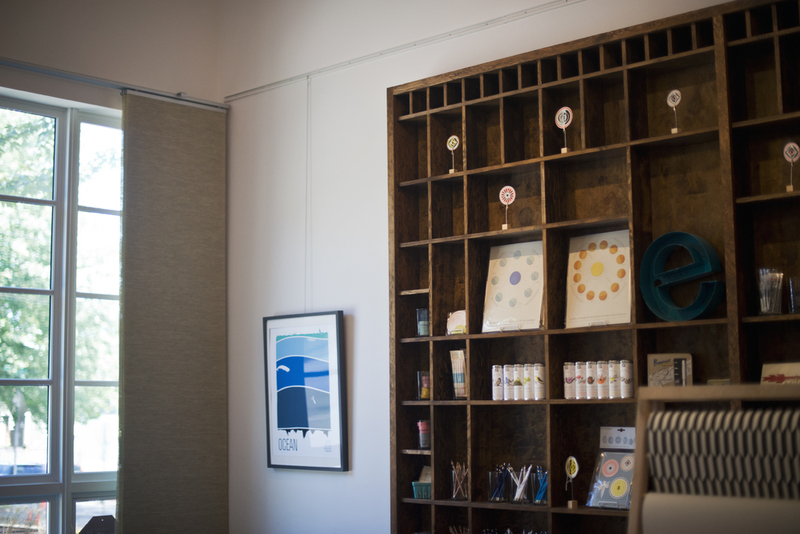 On the shelves are many of her own designs, beautiful cards and artwork pressed with intention and inspiring curiosity, like star maps, solstice trajectories, and renderings of the way the moon moves and reflects change. 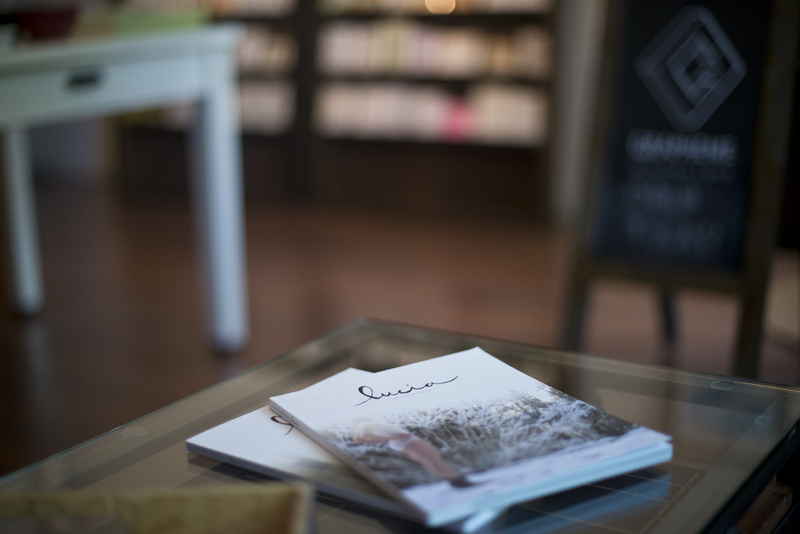 "We've sold nearly all our copies of Lucia," she tells me. "Everyone who sits down here picks it up and they have trouble putting it down." I beam when I hear this, of course. Mandolin lives above her sweet shop on Union Street, with her husband and one-and-a-half-year-old daughter. On certain days, she teaches. Not prescribed lesson plans of collegiate level English literature, but the enormously more ambiguous lesson of how to use a letterpress to take what's inside you and make a permanent impression with it. 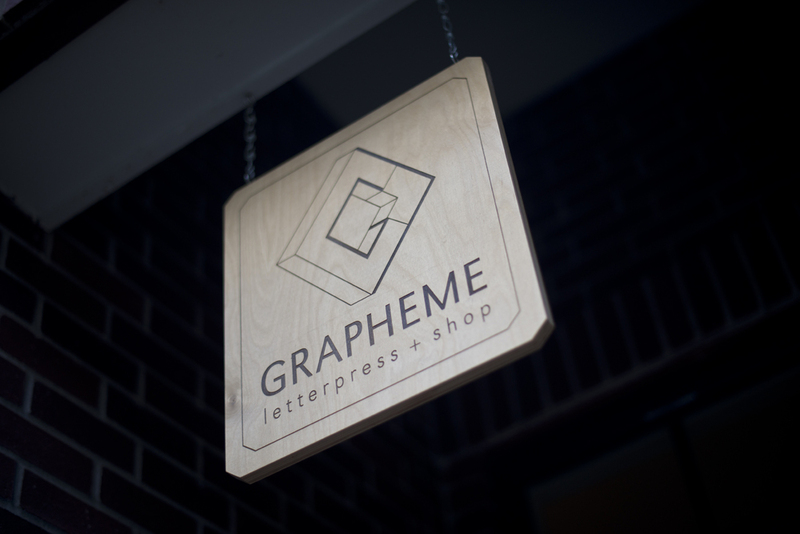 Visit her online at: grapheme-seattle.com. Take a class. Buy a card. Or an entire constellation. Be inspired. Tell her Lucia sent you.